Click here to read the PFO Newsletter for the Week of March 10. Click here to read the PFO Newsletter for the Week of February 24. Click here to read the PFO Newsletter for the week of February 17. Click here to read the PFO Newsletter for the week of February 10, 2019. Click here to read the PFO Newsletter for the week of February 3, 2019. Click here to read our newsletter for the week of January 27, 2019. Click here to read the PFO Newsletter for the week of January 20, 2019. Click here to read the PFO Newsletter for the Week of January 13. Click here to read the PFO Newsletter for the week of January 6, 2019. The Chipotle Restaurant on the Post Road in Riverside is hosting a fundraiser for Stillmeadow on Monday, January 7 from 4 to 8 pm. To participate, simply present this flyer when you order, and Chipotle will donate 33% of your total purchase to our school! Chipotle is located at 1233 E Putnam Ave in Riverside in the Riverside Commons shopping plaza, off exit 5 on I-95. Chipotle offers a variety of burritos, tacos and salads, including a kid’s menu as well as vegetarian and gluten-free options. Check out the Chipotle menu here. Be sure to share the flyer with friends and family! Click here to read the PFO Newsletter for the Week of December 30, 2018. Click here to read the PFO Newsletter for the Week of December 16. Stillmeadow PFO is partnering with Flex Academies to offer after school enrichment classes for Stillmeadow Students this winter. See below for class schedule, grade requirements, and pricing. Registration ends on December 17 at 5 pm. Click here to read the PFO Newsletter for the Week of December 9. Click here to read the PFO Newsletter for the Week of December 2. 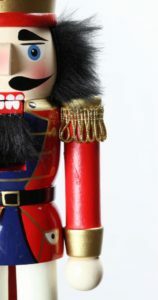 Just a reminder that Friday, November 30 is the deadline to order discounted tickets to see The Nutcracker at The Palace Theatre on December 15 & 16. Tickets purchased through this special offer from Connecticut Ballet are $48 each including all taxes and fees (compared to $58 each at the box office). A portion of every ticket purchased will benefit Stillmeadow. Complete this form and return it to school by Friday. This is a wonderful opportunity to enjoy a holiday tradition with your family and friends while supporting our school community. 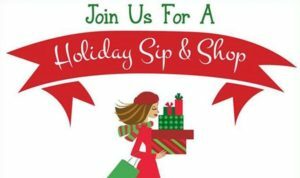 Just a reminder that the Stamford Toys Sip & Shop Event for Stillmeadow Parents is tonight from 7 to 9 pm. Enjoy wine, cheese, and conversation while you shop for holiday gifts with your Stamford Toys Discount Card. Present your discount card for 20 percent off all in-stock toys and books now through November 30. Stamford Toys is located at 970 High Ridge Road (behind FedEx). Food and drinks provided by the Stillmeadow PFO. Discount cards will be available at the door for $5 each. Click here to read our newsletter for the week of November 25. Click here to read our newsletter for the week of November 18. Lifetouch photographers will be at Stillmeadow on Friday, November 30 for fall student picture retake day. Students who were absent on October 19, whether purchasing photos or not. Students who purchased a photo package in October but did not like the photos. These students must return the original photo package (excluding the class photo) on retake day. Students who do not return the original photo package will NOT be photographed. Los fotógrafos de Lifetouch estarán en Stillmeadow el viernes 30 de noviembre para volver a fotografiar a los estudiantes. Estudiantes que estuvieron ausentes el 19 de octubre, ya sea que vayan a comprar fotos o no. Cualquier estudiante que no esté satisfecho con las fotos tomadas el 19 de octubre. Para volver a tomar las fotos el 30 de noviembre, los estudiantes DEBEN devolver su paquete de fotos original al fotógrafo de Lifetouch. Los estudiantes que no devuelvan el paquete de fotos original NO PODRAN ser fotografiados.